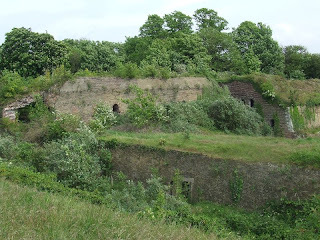 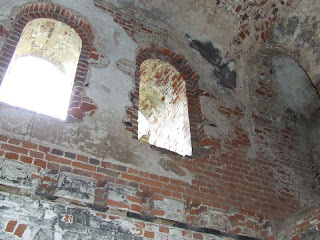 These barracks were the married soldiers quarters for Fort Amherst and are located in the unrestored upper area of the fort. 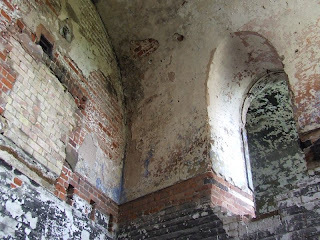 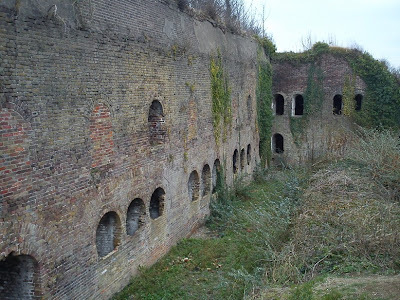 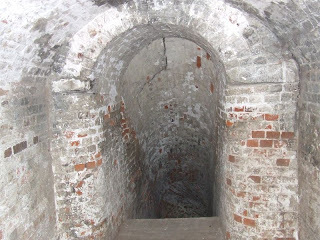 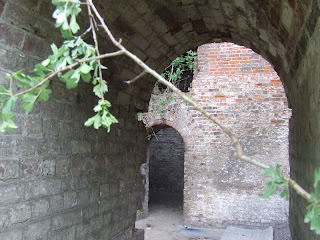 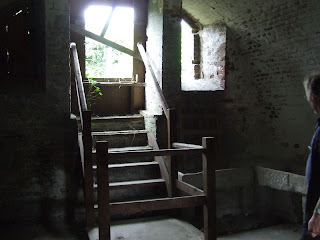 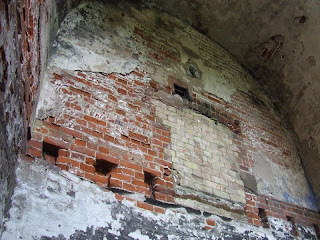 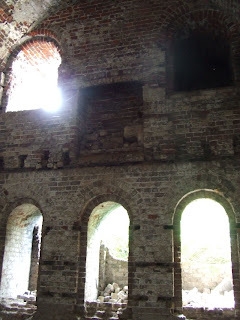 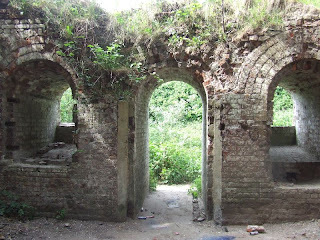 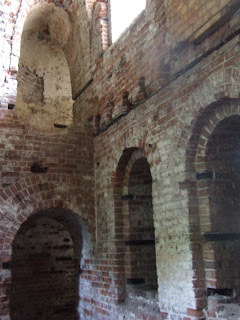 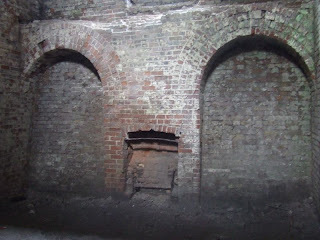 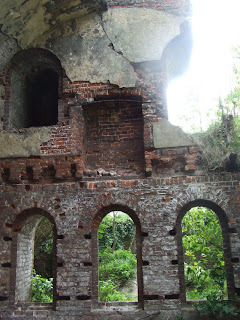 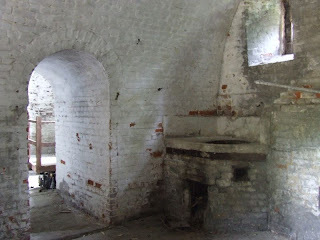 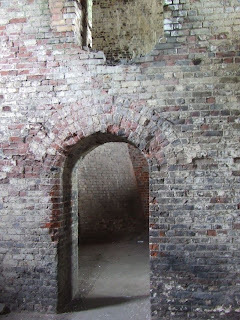 They are three large, two storey brick casemates (although the upper wooden floor has gone). 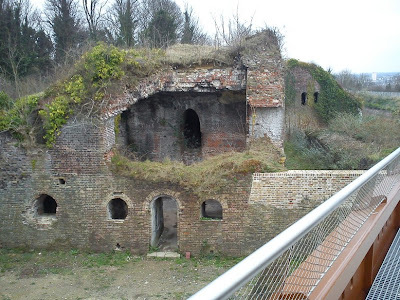 One of the casemates suffered a direct hit from a bomb in WW2, which has destroyed the roof and the remaining rooms are in a dilapidated state, slowly being reclaimed by nature. 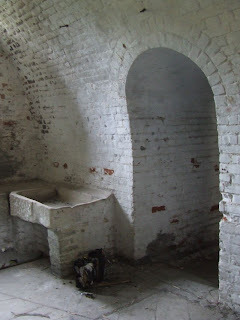 Ablutions rooms are also located near the barracks and complete with sinks and wash basins. 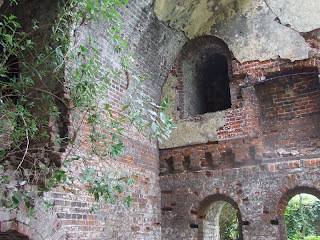 This part of the Lines is not normally open to the public, this was a specially arranged tour. 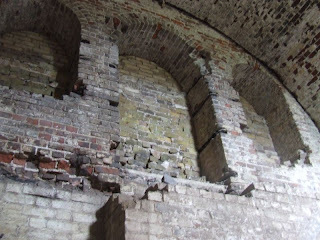 Update 17th Febuary 2012: this part of the lines has undergone an extensive clearance and restoration, and work continues. 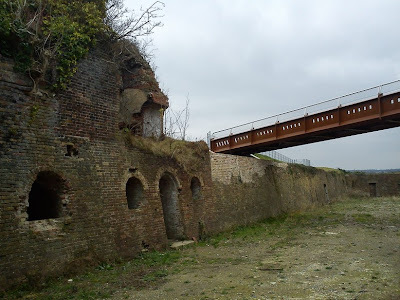 A new bridge has been constructed, and the barracks can now be viewed from the outside as part of the Great Lines Country Park. 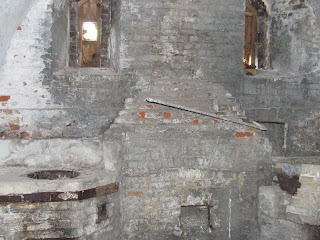 Thanks to volunteer Mark Power for the tour! 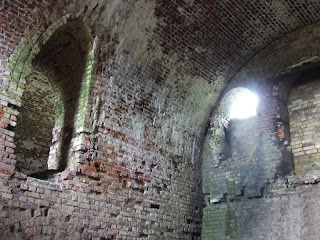 some of the areas are open to the public to walk around and view. 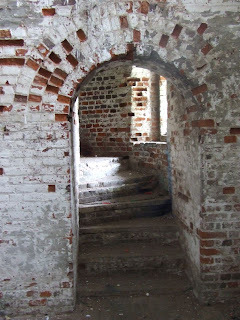 however this section of the fort is currently not open to public admission due to structural concerns (loose bricks and so on so forth) the fort guides do offer advanced tours that go on alot longer which i do belive they show you around alot more of the fort but you would have to ask the tour guides in the cafe, this however does come at a cost. 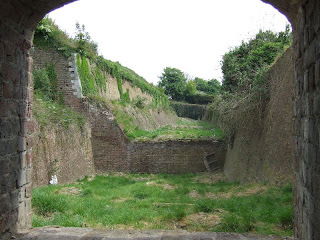 they are currently restoring the fort section by section but as you can understand this is a costly and time consuming process so they are getting there slowly.